This was first featured on Space Wolves Blog in 2014 which is now lost to the warp. In an effort to retain the information we have republished it here. The Stormwolf is the Space Wolves dedicated flyer transports, designed to get up to 16 models into the thick of the fighting, then acting like a gunship to lend fire support to the advance of the main force. This unit has actually been designed really well in terms of its battlefield role and comes with a massive transport capacity, Assault Ramp and plenty of guns to make it a worthy choice. The rather obvious weapon upgrades also give us a good idea of how best to field the Stormwolf for its points. The Stormwolf comes with a twin-linked Helfrost Cannon, twin-linked Lascannon, two twin-linked Heavy Bolters and Ceramite Plating. The Assault Ramp is awesome for getting infantry straight out of the vehicle and into close combat while the Power of the Machine spirit helps us to fire an extra gun… usually at a second target. What does the twin-linked Helfrost Cannon do? That’s almost as good as the much more expensive Helfrost Destructor on the Stormfang! And did I mention that this Helfrost Cannon is twin-linked? 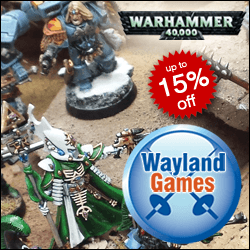 You want to get 15 Blood Claws led by the Wolf Priest across the board? Then this is the vehicle to do it in. 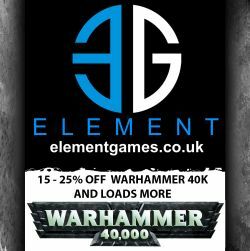 However, when you add up the points cost of those Blood Claws, Wolf Priest and the Stormwolf, that’s a lot of eggs in one basket. Worst of all, your “basket” isn’t going to arrive until Turn 2 at the earliest. Hmmm… But more in this below. Skyhammer Missile Launcher: Basically a long ranged Autocannon. I think I’ll pass! Two Twin-Linked Multi-Meltas: Replace the default twin-linked Heavy Bolters with these, although they do seem expensive. 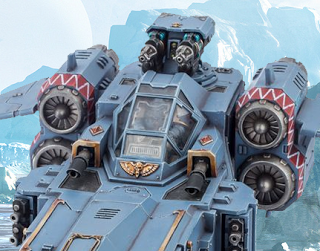 Because the Stormwolf has been designed as an Assault Vehicle to get 16 models into close combat, we only see the twin-linked Helfrost Cannon as a ‘nice to have’ and not a unique selling points like the Helfrost Destructor on the Stormfang (which isn’t even that good!). Twin-linked Multimeltas are a MUST HAVE on this unit. Combined with the Power of the Machine Spirit so you can fire at two seperate targets, they’re totally worth taking. The twin linked Lascannon aids the Stormwolf in being a proper tank hunter and the twin linked Helfrost Cannon at Strength 8, Ap1 helps with this too. Unlike the Stormfang, the Stormwolf has PURPOSE. 16 transport capacity, Assault Ramp and anti-tank guns. Is it worth 235pts with the essential upgrades? But what happens when you put a unit worth over 200pts inside it? You get 435+ points that aren’t in play until Turn 2, possibly Turn 3. And that’s a lot of points to not have on the board, killing things. I saw a Space Wolves list posted up by Goatboy on Bell of Lost Souls the other day. Goatboy is known for his aggressive face-smashing lists. It was basically a Thunderwolf horde, which isn’t a shock, because they’re currently the most cost effective unit in the Space Wolves Codex. But for his 2 Compulsory Troops choices, he had two packs of 5 Blood Claws, each with a Stormwolf as their dedicated transport. And to keep points costs down, that’s exactly how I would run a Stormwolf. Because I cannot justify or take the risk of pouring so many points into 1 unit that’s going to kept off the board until Turn 2 or 3. But this way, you get a 235pts gunship with anti-tank weaponry, which can fly on, just as your force crashes into the enemy and needs those high Strength, low AP guns. The packs of Blood Claws are just there to fill the Force Chart for a mere 60pts per squad.